Objective, research-based and credible information you can use every day to improve your life. Cost $80 for registration. Scholarships are available. Classes are $5. Some classes may have a space limitation, so please RSVP as classes are announced. Most markets are closed for the growing season, but a few here in Albuquerque will have winter market dates. 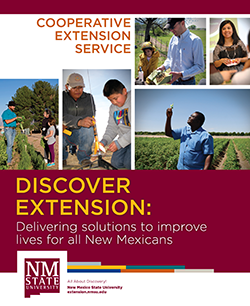 The 2017 Bernalillo County Extension Program Plan 4-H provides an overview of the goals and outreach the office has achieved and plans to conduct for 2017. As the office gears up for the 2017-2018 school year, many of these goals will still be in place and a new calendar of events will be published. The new 4-H year will begin on October 1.